We had so much fun at this event! Snowshoeing, tobogganing, Frisbee golf & chili eating!! 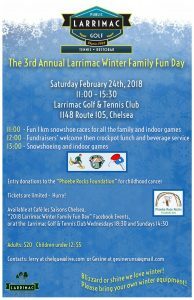 Friends at the Larrimac Golf & Tennis Club! 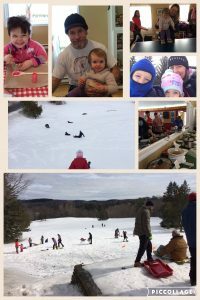 raised $1000 for Phoebe Rose Rocks! Thank you to all who participated. 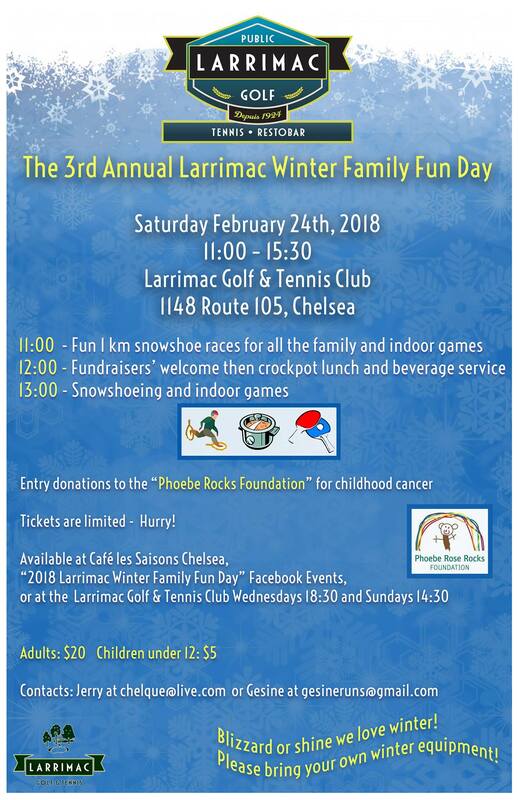 February 24th, 2018 from 10-3:30pm join us for a day of winter fun at the Larrimac Golf & Tennis Club! 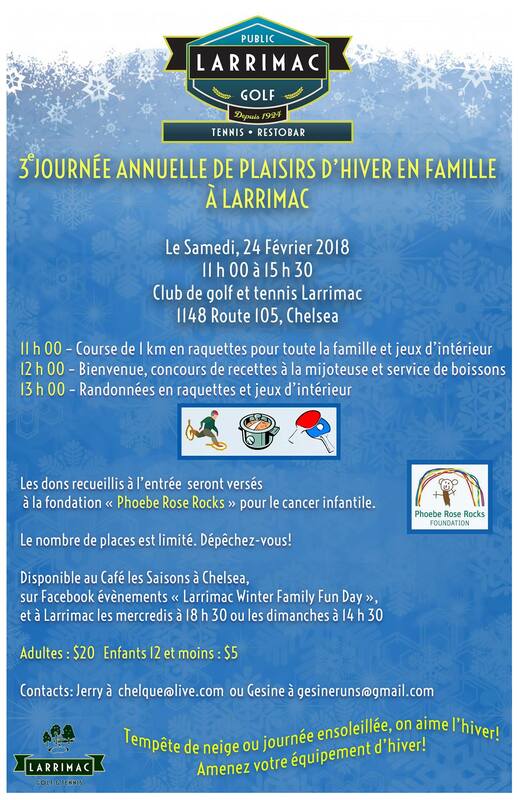 Hosted in part by Gesine Runs who will be running from Montreal to Ottawa this summer to raise funds for the Phoebe Rose Rocks Foundation!